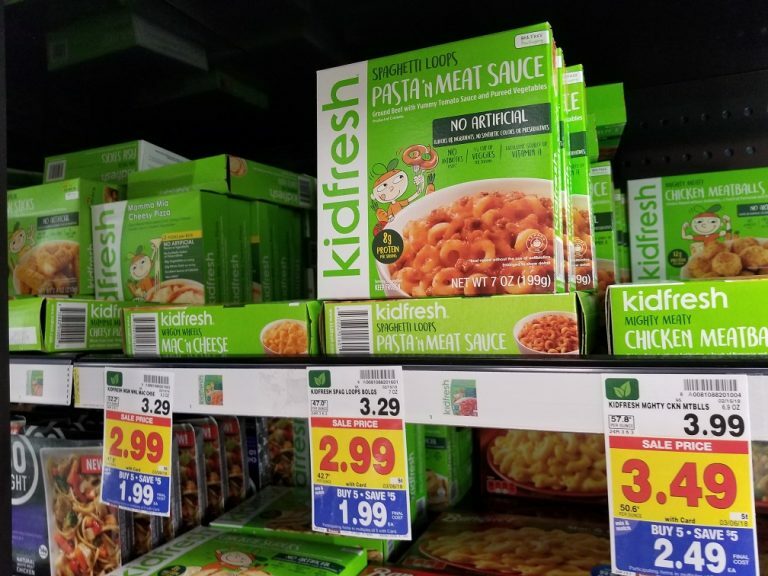 Home » Kroger Mega Event: KidFresh Meals are FREE!! Kroger Mega Event: KidFresh Meals are FREE!! February 22, 2018 By Tiffany Ivanovsky Leave a Comment By clicking on our links, we might make a SMALL commission - Thanks for the support! See our full DISCLOSURE here. Ready for another freebie on the Kroger Mega Event? We’re going to combine an awesome KidFresh Coupon (or you can use the Kroger Digital Coupon) and an Ibotta Cash Back Offer to get them FREE! These are going to make great filler items for your scenarios! Kroger: Bob’s Red Mill Gluten Free Flour only $0.99! Kroger Mega Event: FREE Sweet Earth Burritos!